CapitaLand Commercial Trust (CCT)'s 2Q17 results were in line with expectations. Management plans to undertake DPU stabilisation measures in 2H17 following the loss of income from the divestment of One George Street and Wilkie Edge. Golden Shoe carpark redevelopment is underway with targeted yield-on-cost of 5%. Office yield compression to upcycle levels presents significant upside potential with recent data pointing to a sector turnaround. Maintain BUY with an unchanged target price of S$1.90. Results in line with expectations. 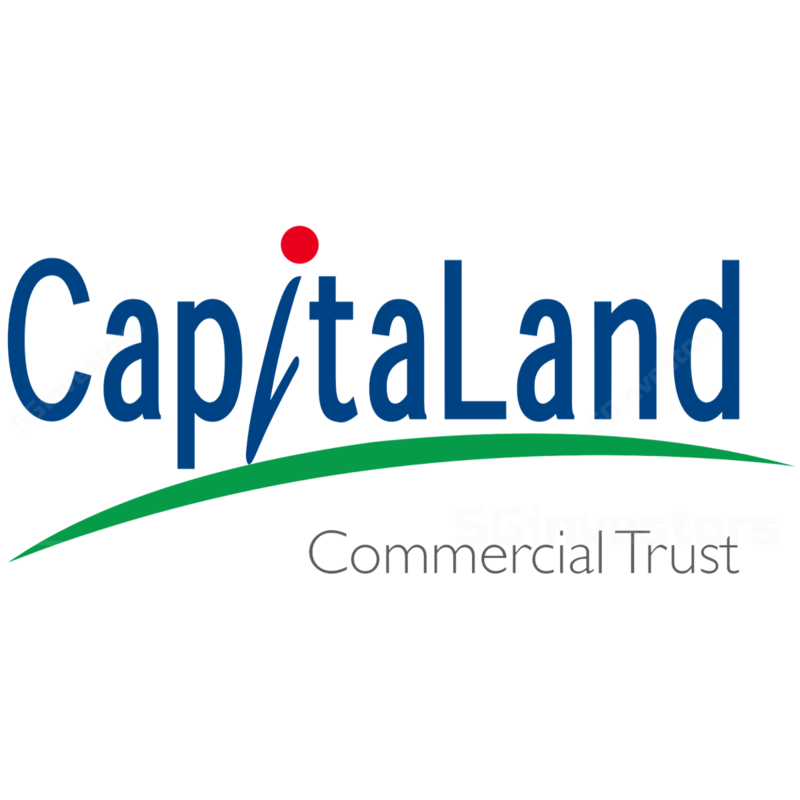 CapitaLand Commercial Trust’s (CCT) 2Q17 DPU of 2.27 S cents was up 3.2% yoy. 2Q17 gross revenue and NPI were up 29.5% yoy and 34.3% yoy respectively, primarily due to higher contribution from CapitaGreen (remaining 60% stake acquired in Aug 16). The results were in line with expectations, with 1H17 DPU representing 50.4% of full-year forecast. CCT signed approximately 201,000 sf of leases during the quarter, of which 39% were new leases. Leasing demand came from diverse business sectors including banking, insurance and financial services, real estate and property services and legal. New and renewed tenants in 2Q17 include AEW Asia Pte Ltd, A.M. Best Asia-Pacific (Singapore) Pte Ltd, Mizuho Asia Partners Pte Ltd and Nagashima Ohno & Tsunematsu Singapore LLP. Regarding Mizuho Asia Partners’ lease management remarked that asking rents at Capital Tower are around S$8.50 psf pm. Continued pressure on rentals in 2Q17, with reversions at Six Battery Road ranging from -15.9% to +11.6% (committed rents vs average expired rentals) and One George Street's reversions ranging from -10.9% to +7.1%. Six Battery Road and One George Street achieved monthly rents in the range of S$10.40-S$13.80 psf pm and S$8.65- S$10.40 psf pm, respectively. Office rents for both properties were greater than market office rents for the period. Possible DPU stabilisation in 2H17. Management plans to stabilise DPU following the divestment of One George Street and Wilkie Edge. They alluded to DPU stabilisation measures for 2H17 using the divestment gains and the S$34m of tax-exempt funds. Slight decline in portfolio occupancy rate at 97.6% in 2Q17, as compared with 97.8% in 1Q17. The decline in occupancy was mainly attributable to Twenty Anson which saw occupancy rate decline from 93% to 84.2%. Management noted that this was in part due to the emergence of new properties in the Tanjong Pagar region. Occupancy at Golden Shoe Car Park declined, as expected, due to the redevelopment of the property. Increased valuations for existing properties. Valuators have compressed cap and discount rates from Dec 16 figures following recent transactions. Management noted that the higher valuation reflects the liquidity and capital that are seeking Grade-A CBD assets. CCT has diversified and spread out the maturity dates for its debts. Management alluded that the loan for the Golden Shoe Car Park development will be due in 2022. This will ensure that its debt maturity profile will remain relatively even. Drop in aggregate leverage to 36% in 2Q17 and to 35.2%, as compared with 38.1% in the previous quarter. Leverage declined further to 35.2% after the 2Q reporting period as a result of the conversion of S$78m of convertible bonds to 54.7m CCT units. Management has indicated that they are comfortable with aggregate leverage levels of 30-40%. Golden Shoe Car Park redevelopment. Management noted that the S$1.82b redevelopment and acquisition of Golden Shoe Car Park will be carried out in a similar style as CapitaGreen, but with a five-year call option instead of three for CapitaGreen. The new development will have a 42% higher NLA than CapitaGreen and the projected target yield-on-cost is 5% pa based on estimated rental rate of S$12-14 psf pm for the office space and RevPAR of S$255-270 pm for the serviced apartments. Early indications of Grade-A office rental turnaround. According to CBRE, Grade-A CBD core rents have stabilised as rentals remain unchanged from the previous quarter at S$8.95 psf pm in 2Q17, following eight quarters of decline since 2Q15. Jones Lang Lasalle reported a bottoming-out and a modest increase in CBD rents by 0.6% in 2Q17. This may suggest that wider Grade-A CBD core office rentals are at an inflexion point. Office yield compression to upcycle levels presents significant upside potential. Given that the current yield spread of the office sector is 3.2%, close to its long-term spread of 3.9%, despite a harsher operating landscape from previous years, an economic resurgence could present significant upside. We opine that with a resurgence in the economy, there could be a further compression in the office yield spread to its upcycle average spread of 2.3%, reflecting a 19% upside potential. Maintain BUY with a target price of S$1.90. Our valuation is based on DDM (required rate of return: 6.7%, terminal growth: 2%). Higher-than-expected contribution from Golden Shoe carpark redevelopment.